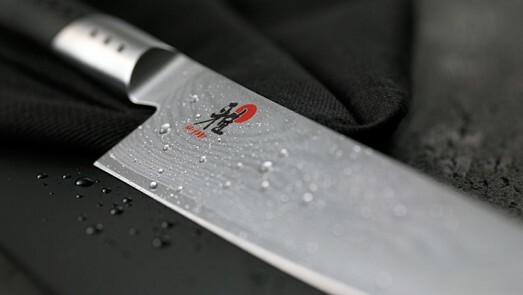 Tips and advice for the best care of your Miyabi knives to ensure lasting performance. We recommend carefully washing by hand under running, lukewarm water with a mild detergent and a scratch-free cloth or sponge. Dry knives immediately. Do not leave your knives wet or dirty for any length of time to avoid discolouration or rust. WHICH KNIFE DO I USE FOR WHICH JOB? There are many different shapes of blade, and each blade shape has its specific properties when preparing food. To achieve the best results, always choose the right knife. Learn here which knife is best for which job. WE RECOMMEND THE USE OF WOODEN OR PLASTIC CUTTING BOARDS. Wooden or plastic cutting boards are kinder to the cutting edge of your knife than those made of materials such as glass, granite or ceramic. 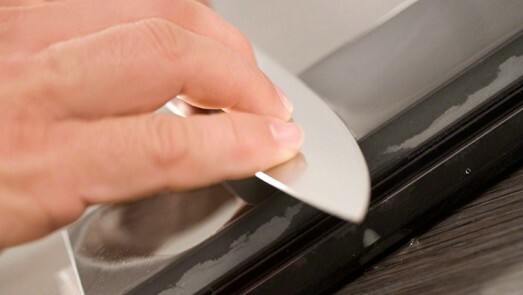 Chopping on very hard surfaces like glass, granite or ceramic can damage or dull the blade, making it feel blunt. In this case, immediately sharpen your knife to straighten the edge again. 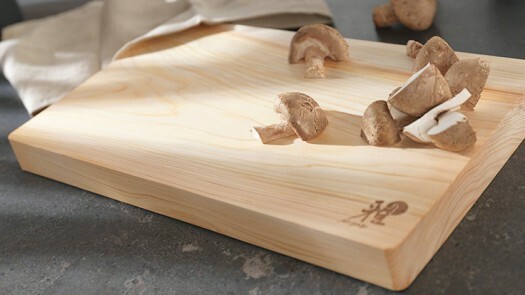 Find out more about MIYABI cutting boards here. Regularly maintain unserrated knives to retain their sharpness and to eliminate small notches and deformations as soon as they have formed. Only professional sharpening tools are suitable due to the extreme hardness of the material and the fine Honbazuke cutting edge. The MIYABI Toishi Pro sharpening stone is perfectly designed for MIYABI knives, but is also ideal for professionally sharpening all other types of steel knives.